first in the world to climb Meru? How three men became first in the world to climb Meru? The dogs at Dog with Blog recently had the pleasure of watching the documentary feature of the season, Meru, a moving true tale recalling the efforts of three of the world’s best mountain climbers to ascend ‘an almost impossible’ Himalayan peak that has never been successfully scaled before. ‘But what has that to do with dogs,?‘ you would say. 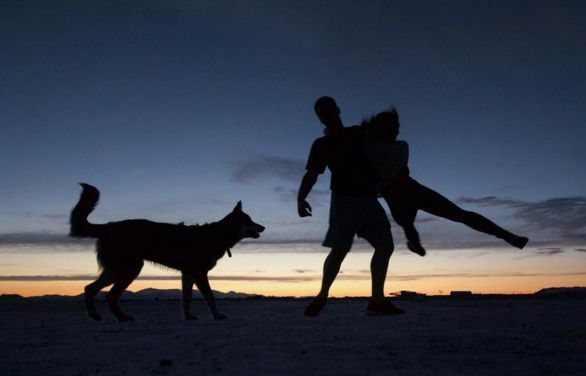 Well, one of the climbers Renan Ozturk, a devout dog lover, fought a near-fatal injury with help from friends (including the furry ones) to make the first ascent of the Shark’s Fin route up India’s 20,702-foot Meru Central. 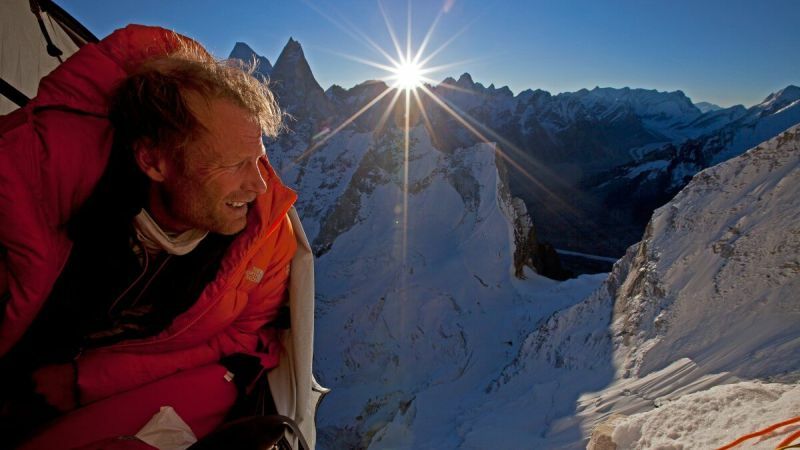 Renan Ozturk recovered from a near-fatal ski accident which left him with severe permanent injuries, to return and climb Meru. Meru, the World’s Most Hostile Climb? 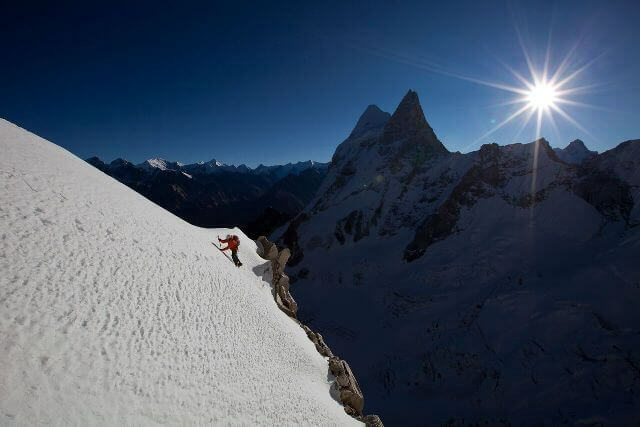 The Meru Peak is home to the Shark’s Fin route, one of the hardest to climb in the world. Often hailed as the Holy Grail for climbers, it offers the most arduous challenges — heavy hiking gear to be hauled up the 20,000-plus-foot height, no sherpas (unlike Mount Everest), -20 temperatures and a climb so harrowing that an odd 100 meters a day can be called good. It has seen more failed attempts by elite climbing teams over the past 30 years than any other ascent in the Himalayas. Fewer people have been on that wall in Meru than have been on the moon. Shark’s Fin had been attempted numerous times, but each effort failed to reach the summit. The documentary begins with the team’s first attempt at Shark’s Fin in 2008. One hundred meters short of the summit, they’re forced to retrace, like others before them. We see a philosophical Jimmy Chin voicing, “Maybe it just wasn’t meant to be climbed”. 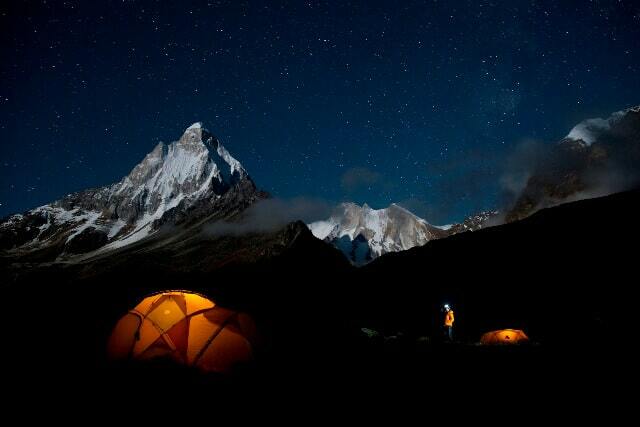 Meru offers a riveting study of the stunning Himalayan vistas and soul-searching moments in a climber’s hike. Three years later the trio return to Meru — and that’s despite a near-death skiing accident which left Ozturk with cranial and spinal fractures, an unforgiving avalanche which nearly swallowed Chin 2,000 feet into another climb. Would they become first in the world to climb Meru? 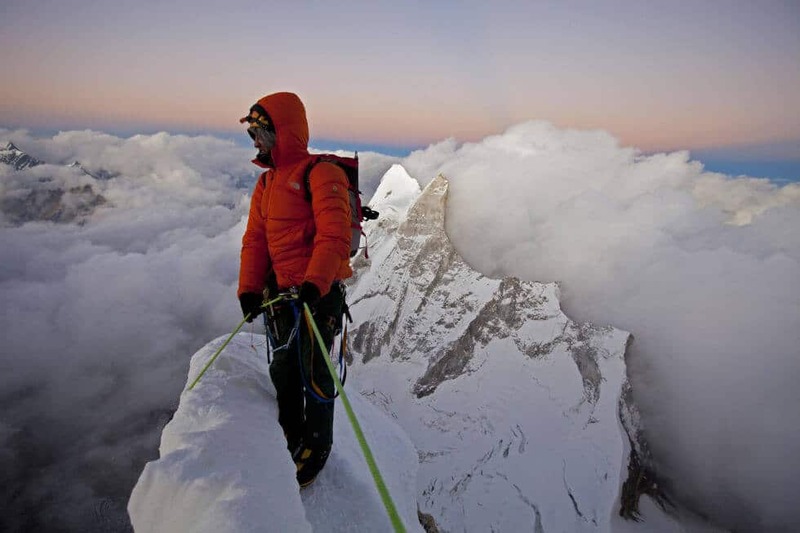 In October 2011, the team of Conrad Anker, Jimmy Chin, and Renan Ozturk became the first to climb Shark’s Fin. When Renan isn’t hiking, he relaxes with Baloo 🙂 Here’s to the mountains, mastiffs, men, and madness – to the adventurers who know that you don’t conquer the peaks but bestow in their beauty. Climber, photographer, and painter Renan Ozturk had to relearn not only to climb but, to walk again —in order to undertake a second attempt at climbing the Shark’s Fin on Mount Meru. Posted on November 17, 2015 May 10, 2017 Author Abhishek JoshiCategories Dogged reviews! Abhishek I love your posts. So different. So unique and all well themed…Now to hunt for this documentary, available online somewhere? 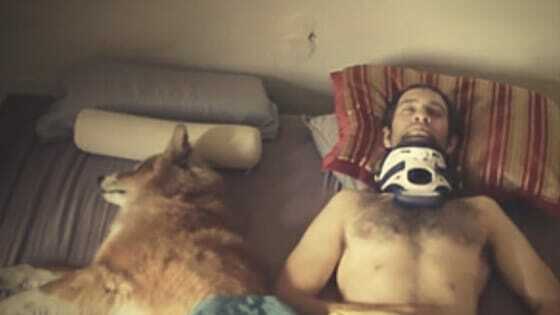 Previous Previous post: Top 6 Dog Movies that absolutely won the box office!